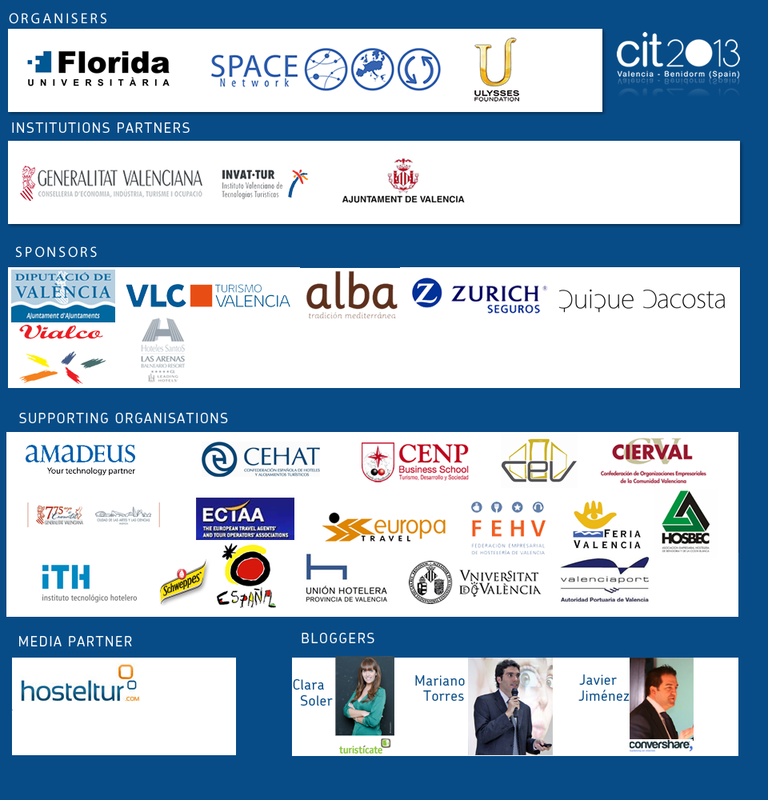 CIT 2013- International Conference on INNOVATION IN TOURISM AND HOSPITALITY will take place from 16 to 19 April 2013 in Valencia and Benidorm. The objectives of the conference are: (i) to provide the exchange of experience and the creation or development of knowledge networks linked to the tourism sector; (ii) to deal with the challenges that tourism development means for the sustainability of destinations and the competitiveness of tourism enterprises; (iii) to identify trends enabling the development of tourism innovation; (iv) to bring the applied research generated by knowledge institutions closer to the needs of destinations and tourism enterprises and also, to enhance the development of scientific documents focused on the industry by young researchers. This conference will address innovation from two areas: “Strategy and Governance in Tourism Destinations” and “Markets, Products and Management”. Vision and Strategic Positioning, Development and Governance, Destination Marketing and Social Economy are some of the sub-tracks of the former; whereas Science and Technology for resilience, sustainability and efficiency, Creative Hospitality Management, Trends in the different segments, Marketing, Entrepreneurship and the Co-op initiatives, are the sub tracks of the latter. 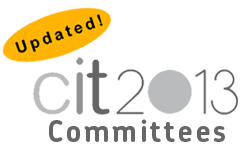 CIT2013 will combine lectures, discussions, presentations of the results achieved through discussion forums prior to the conference; and the presentation of works and collaborations of a large number of international prestigious academicians and professionals. This conference targets all those persons associated with the Tourism Sector and interested in sharing experiences and approaches, in analysing trends and in facing challenges, especially Researchers, Academicians, Managers and Professionals, Technicians of the Administration, Consultants, Postgraduate and PhD students. This event is organised by FLORIDA UNIVERSITÀRIA supported by SPACE (European Network for Business Studies and Languages), and ULYSSES FOUNDATION (Knowledge Management and Tourism-related Activities Network, composed of all UNWTO Ulysses Prize awardees, organisations, enterprises, institutions and individuals concerned with knowledge relating to tourism). With nearly 40 years of experience, Florida Universitària, part of the cooperative educational group FLORIDA, emphasises in this conference the perspective of Social and Co-operative Economy with the aim of analysing the values and characteristics of this approach as an innovative and sustainable alternative for tourism growth and development.